1. 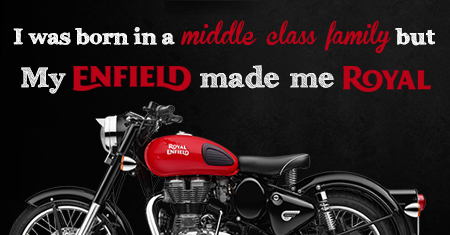 I was born in a middle class family but My Enfield made me royal. 2. 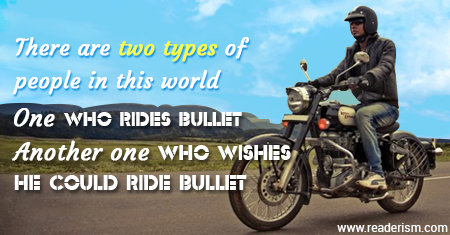 There are two types of people in this world one who rides bullet another one who wishes he could ride bullet. 3. 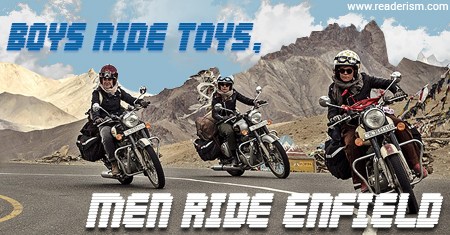 Boys ride toys, Men ride ENFIELD. 4. Enfield don’t leak oil they mark their territory. 5. Jab bullet chale to duniya raasta de (Everyone gives way for bullet). 6. Made like a gun, goes like a bullet. 7. 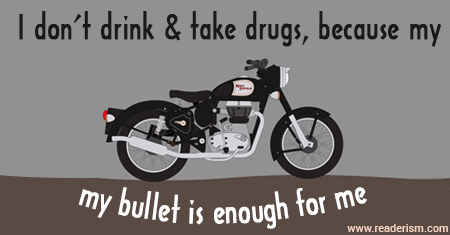 I don’t drink & take drugs, because my bullet is enough for me. 8. 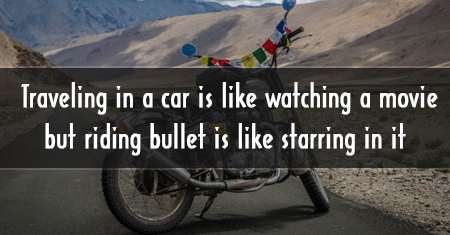 Traveling in a car is like watching a movie but riding bullet is like starring in it. 9. 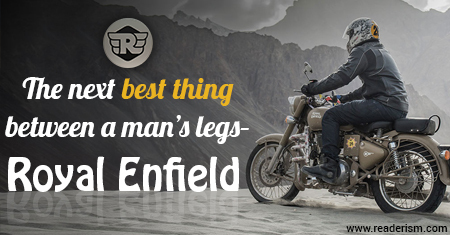 The next best thing between a man’s legs – Royal Enfield. 10. 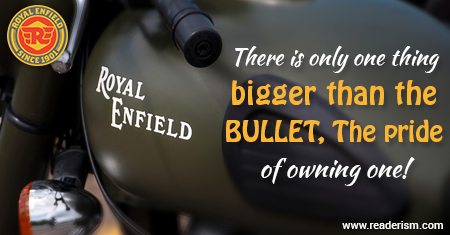 There is only one thing bigger than the bullet, The pride of owning one! 11. 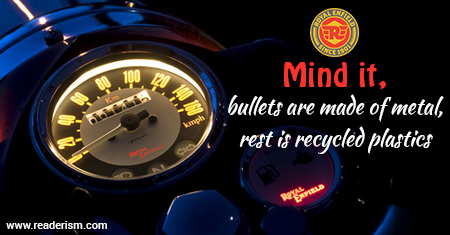 Mind it, bullets are made of metal, rest is recycled plastics. 12. 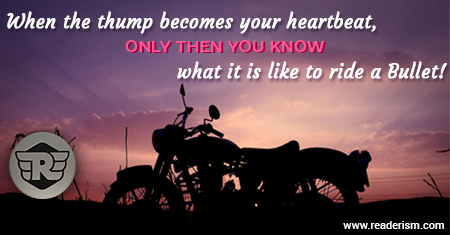 When the thump becomes your heartbeat, only then you know what it is like to ride a Bullet! 13. 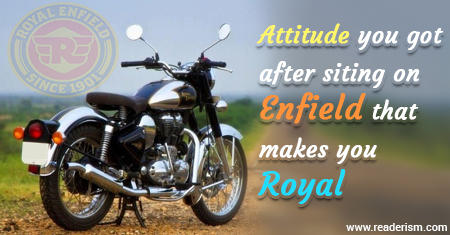 Attitude you got after siting on Enfield that makes you Royal. 14. 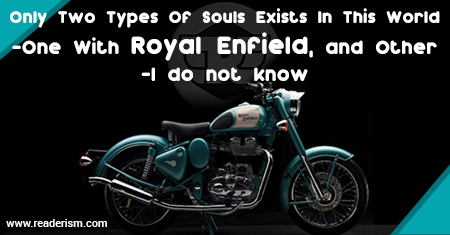 Only Two Types Of Souls Exists In This World -One With Royal Enfield, and Other -I do not know. 15. 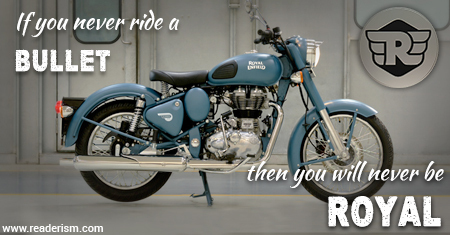 If you never ride a bullet then you will never be Royal. 16. 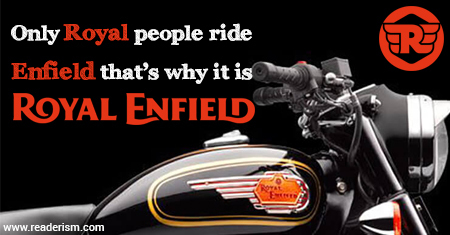 Only Royal people ride Enfield that’s why it is “Royal Enfield”. 17. 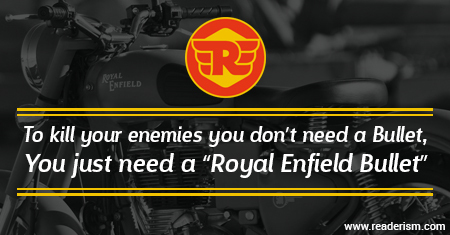 To kill your enemies you don’t need a Bullet, You just need a “Royal Enfield Bullet”. 18. When my Bullet do this “Dugg Dugg !!”. Girls Says Arey “Rukk Rukk !!”. 19. 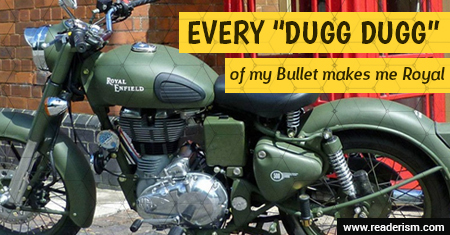 Every “Dugg Dugg” of my Bullet makes me Royal. 20. 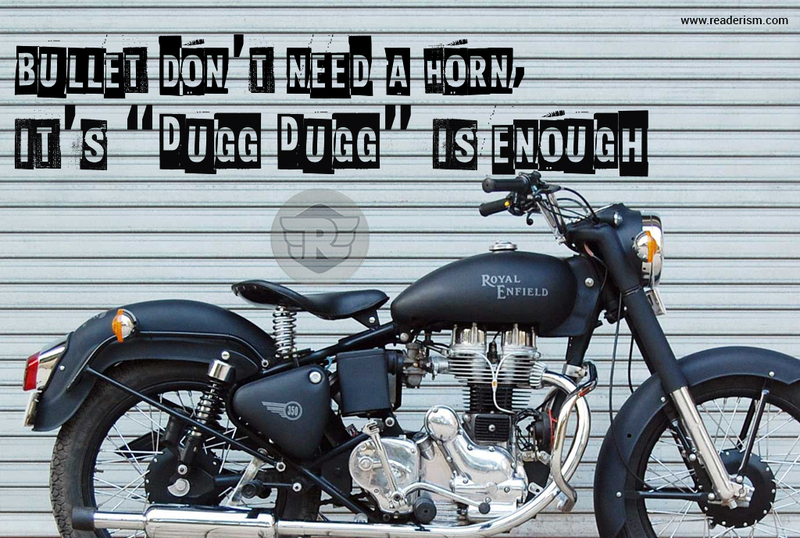 Bullet don’t need a Horn, it’s “Dugg Dugg” is enough. 21 . 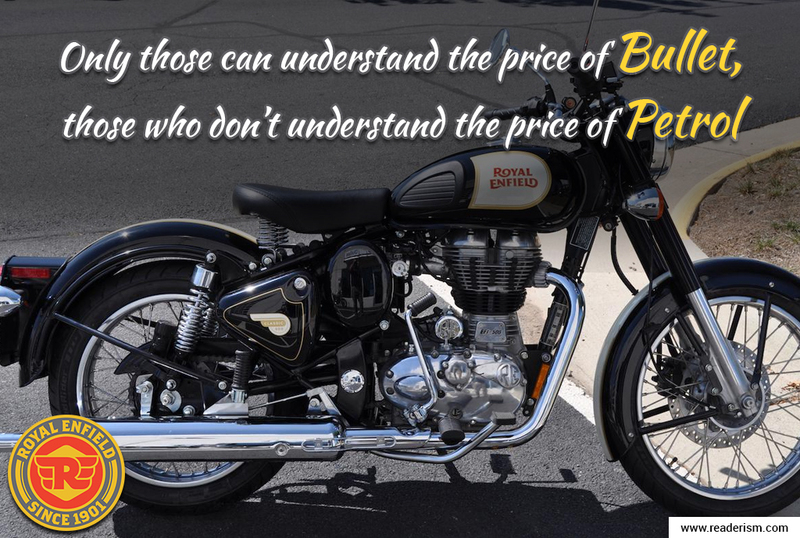 Only those can understand the price of bullet, those who don’t understand the price of Petrol. 22. 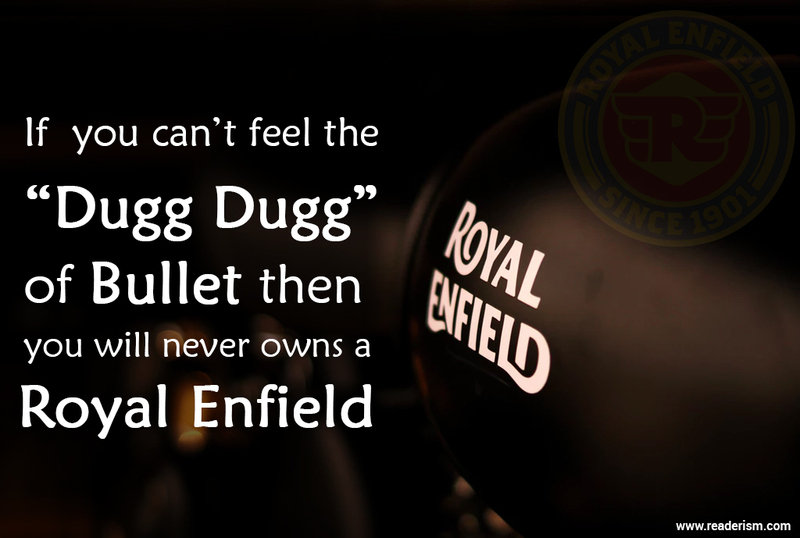 If you can’t feel the “Dugg Dugg” of Bullet then you will never owns a Royal Enfield. 23 . 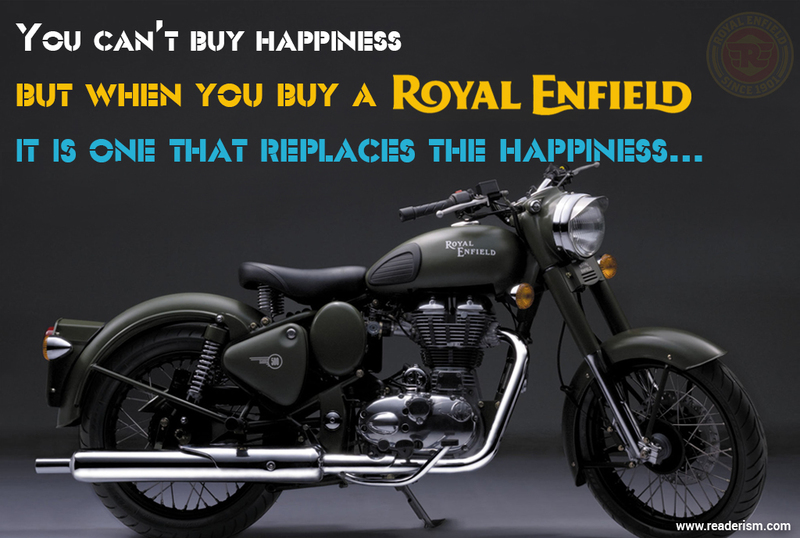 If you have Royal Enfield then you don’t need a Girlfriend. 24. 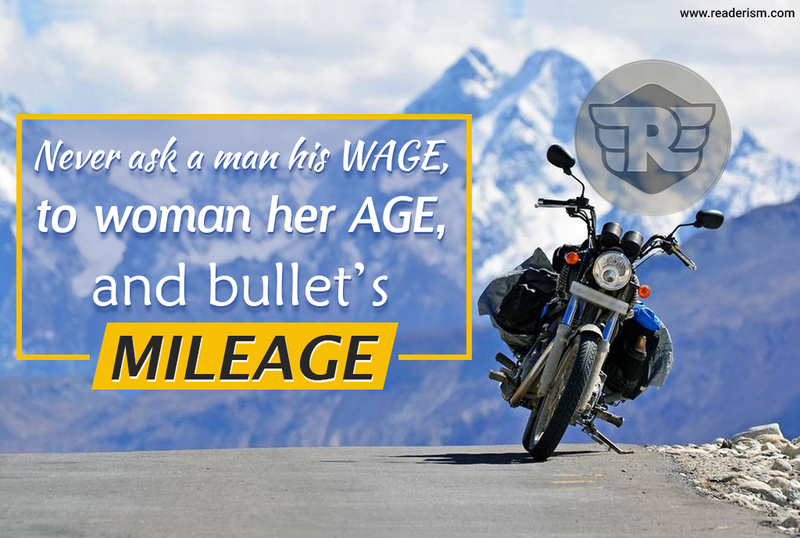 Never ask a man his wAGE, to woman her AGE, and bullet’s mileAGE. 25. 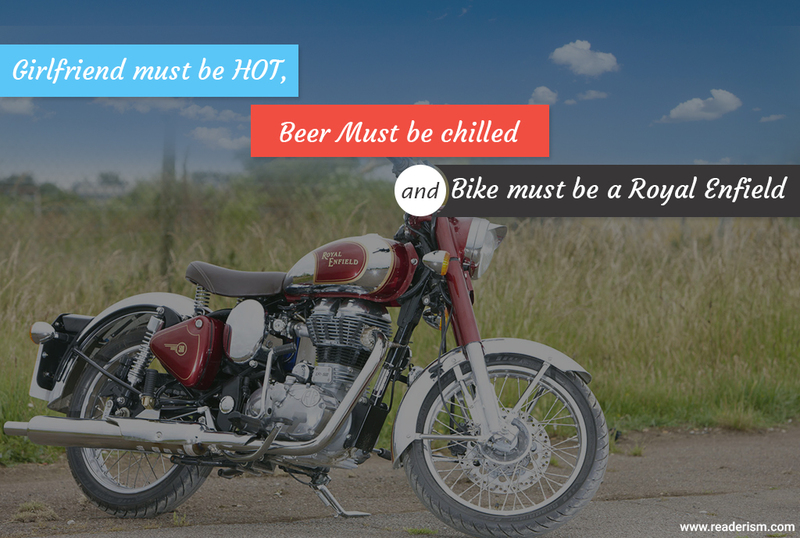 Girlfriend must be HOT, Beer Must be chilled and Bike must be a Royal Enfield. 26 . 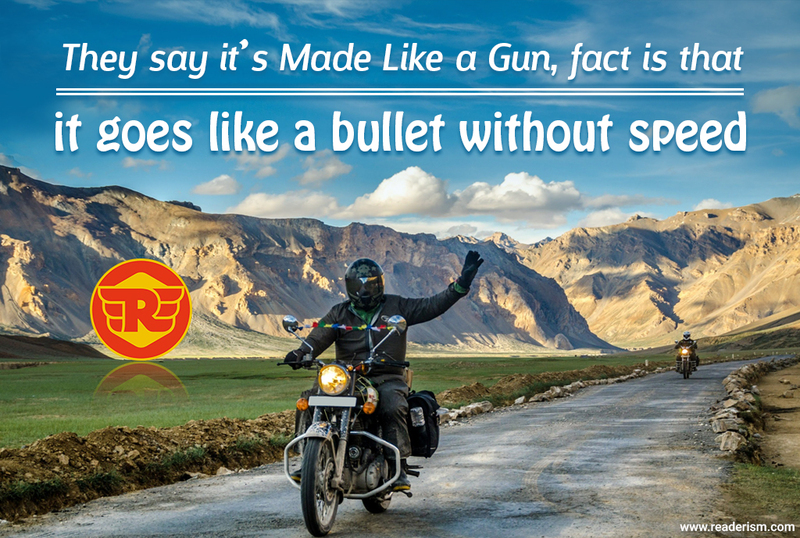 They say it’s Made Like a Gun, fact is that it goes like a bullet without speed. 27 . 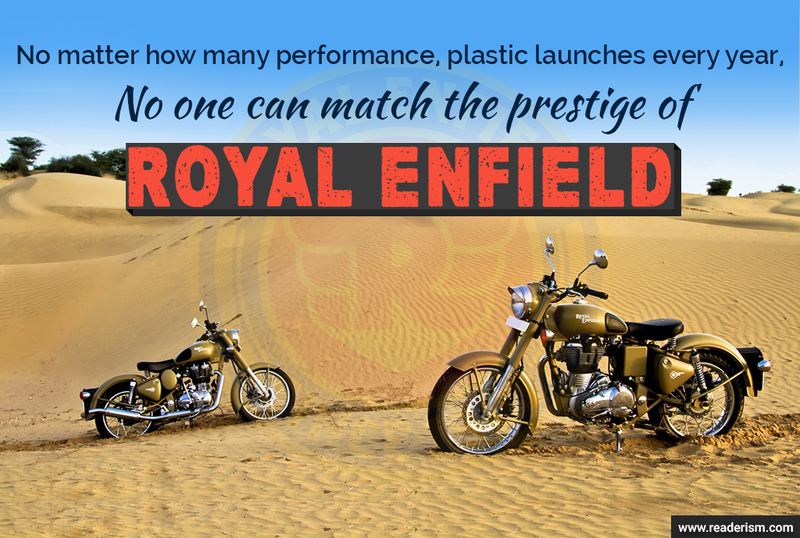 No matter how many performance, plastic launches every year, No one can match the prestige Of ROYAL ENFIELD. 28. 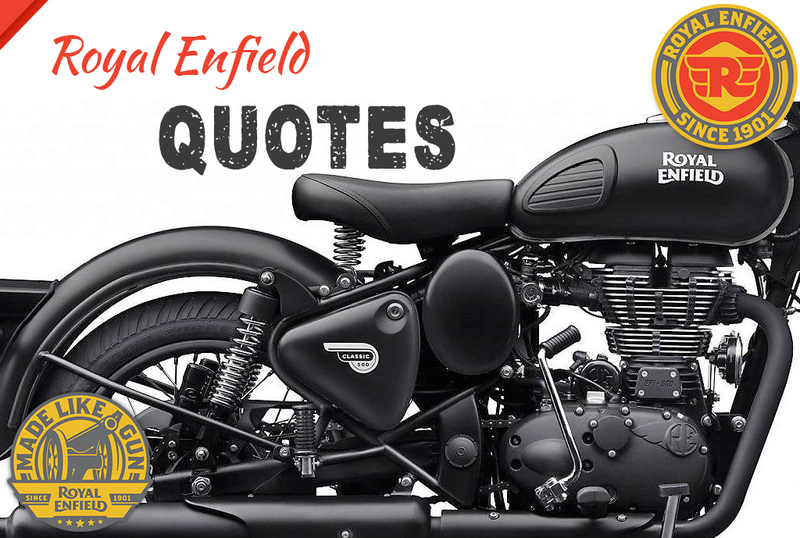 Boys these days are – Yearning for a girlfriend, But I am busy in loving My Royal Enfield! 29. In a forest full of super bikes!! 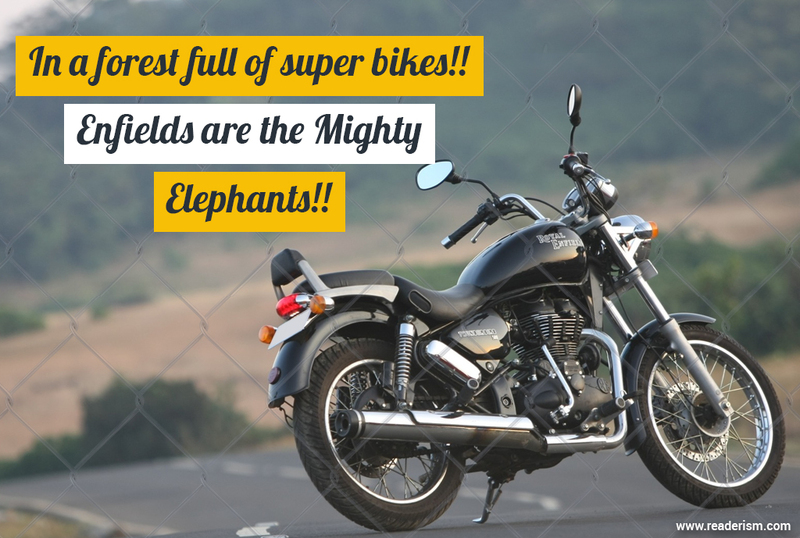 Enfields are the Mighty Elephants!! 31. Work Hard with Silence Let Your “Bullet” Make all the Noise.! 32. 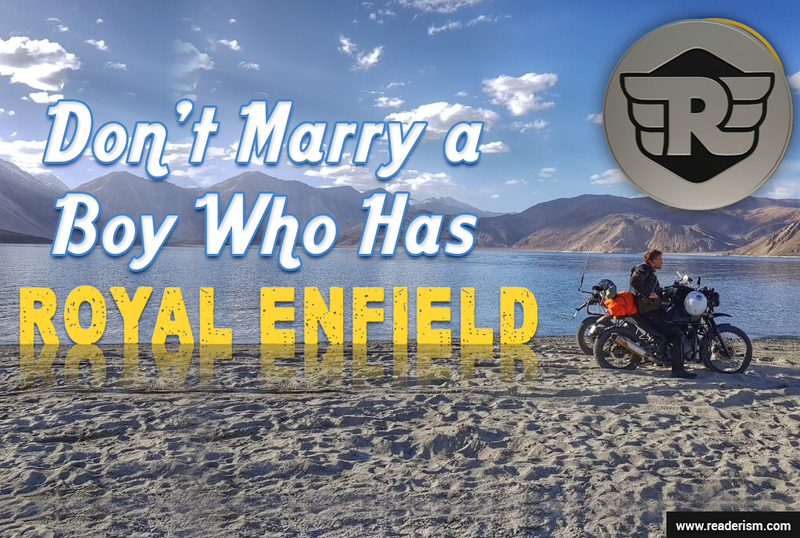 Don’t Marry A Boy Who Has Royal Enfield. 33. 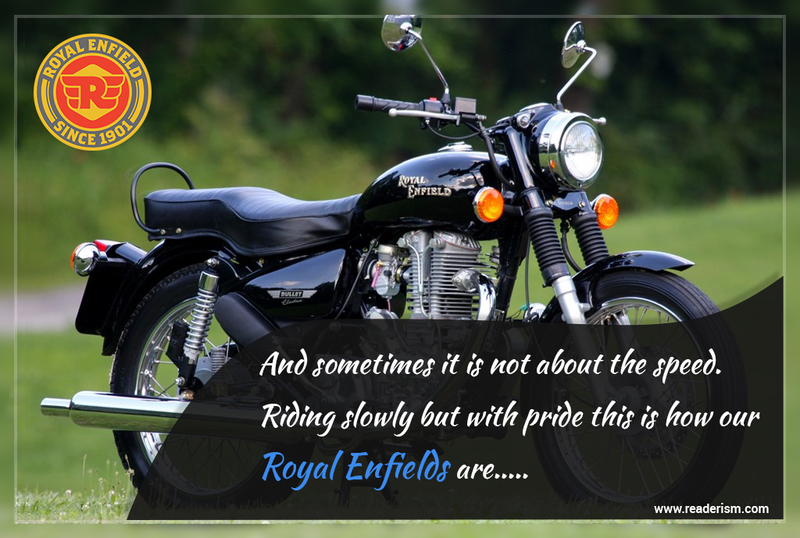 And sometimes it is not about the speed.Riding slowly but with pride this is how our Royal Enfields are…..
• UCE (Unit Construction Engine) The engine used in the earlier Royal Enfield models was replaced by the new and improved UCE engine. 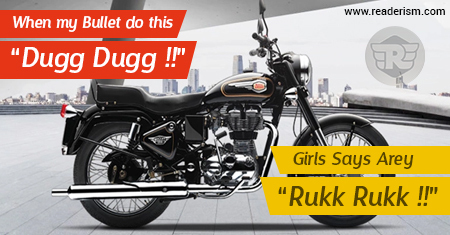 The dug – dug sound makes heads turn, thanks to the Unit Construction Engine and gearbox used in Classic 350 and 500 cc Bullets, Standard Electra and Thunderbird Twinspark. 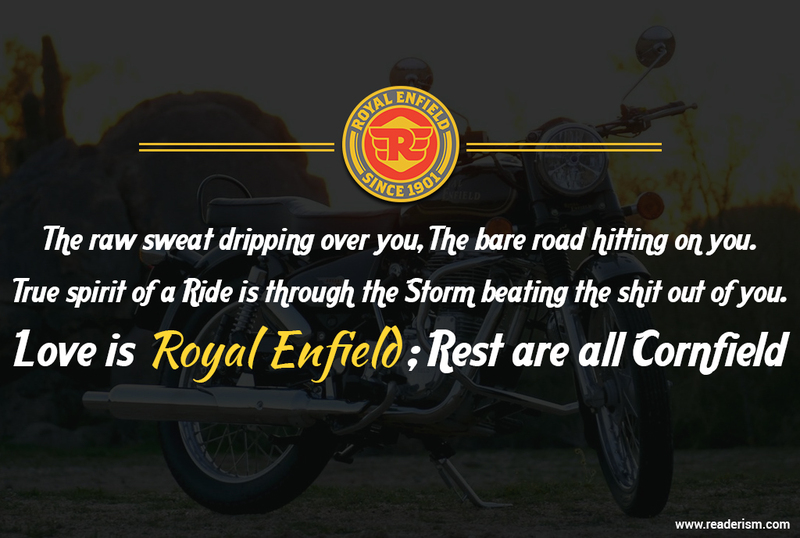 • First choice among Army men Since bullet is a heavy built bike, so it can be driven in coarse areas and plain areas as well and so it is the most preferred choice among army men which also makes Bullet the highest selling bike model of Royal Enfield. • Swag Factor With time slangs change and with time people have associated riding a bullet with the carrying of swag or we should say that if you want to have Wakhra Swag, then ride a Bullet. 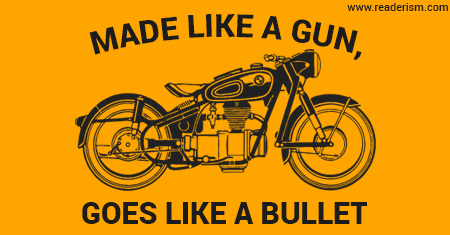 • Commands Pride Riding a Bullet is also associated with power and pride. 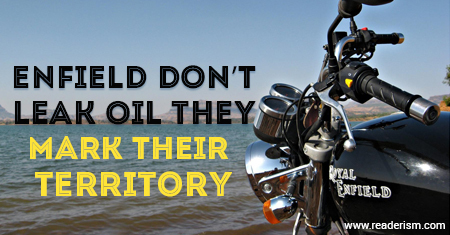 When you sit on the desi black horse aka the Bullet, a feeling of pride runs through and make you feel more confident. P.S. 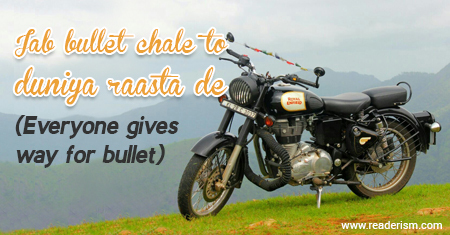 – Try out the kurta pyjama look while riding a Bullet. • Status Symbol Bullet has become a status symbol nowadays, more so for the people belonging to Punjab and Chandigarh. The growing inclination towards purchasing a heavy metal bullet seems to be part of the demonstration effect as well. 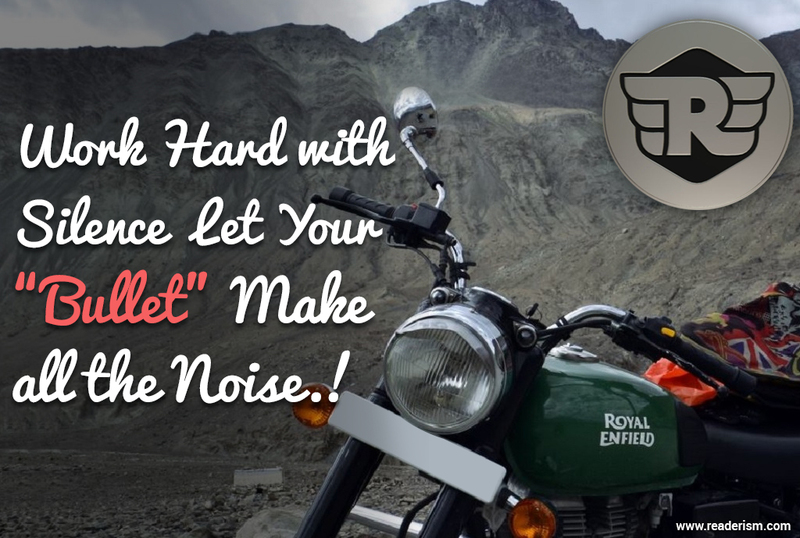 • Best for trips to hilly areas Bullet is the most preferred bike among bikers who wish to take a trip to the hills as it has a heavy engine which makes it easy for the bikers to go out on a thrilling expedition.